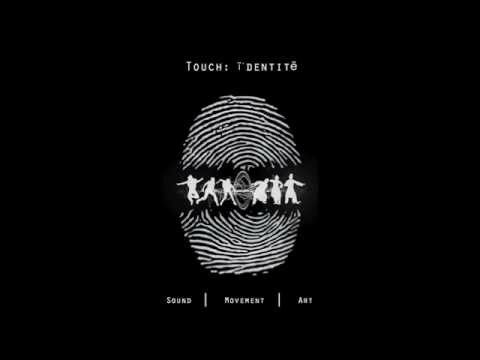 Touch: īˈdentitē is an official collaboration between James Lye, Amin Farid and Fasihah Latiff that aims to explore indepth the relationship between movement and sound. This multidisciplinary production will be presented in a unique fashion through a combination of interactive installations, live performances and post-show talk. The exploration of movement and sound will be demonstrated by fusing sonic arts with street and traditional Malay dance forms. The production offers an effective blend of experimental music technology with performing arts by empowering dancers with the ability to control and be at the helm for both movement and sound. Throughout the entire duration of the 3 day production, fixed installations of electronics and gadgets used for the production will be up and placed around the venue for all visitors to interact and engage with. This allows all visitors to have a first-hand association of what the dancers are experiencing, by creating a personal sonic tapestry when engaging with the various technologies presented. The performance segment of the production, which occurs twice daily, consists of three separate works each lasting approximately 10 minutes. The first work which integrates sonic arts with traditional Malay dance uses sensors attached to dancers, translating movement into an entirely independent sonic tapestry generated by manipulating sounds of traditional Malay instruments such as the rebana, biola, and accordion. In brief, the semiological context aims to present the theme of having a desire to stay connected to one’s roots despite the blurred identity fostered by a rapidly progressing society. The second work which is designed to succeed the former with the theme of “state of exploration” fuses sonic arts with street dance by using concepts of radio sound transmission and electrical contact controlled by a group of three dancers. Electronic and heavily synthesised sounds will be the primary musical source used, therefore reflecting the aesthetics of the street dance art form. The final work is a thematic development of the production which drives home the message of “self-discovery”, realised through the transition of the preceding thematic phases. This finale piece attempts to juxtapose and hybridise traditional Malay dance with street dance whilst encompassing it with sonic arts. Three pairs of dancers, each consisting of a traditional Malay dancer and street dancer, will face their counterparts. Separated by a piece of glass or clear plastic, which symbolises a mirror, their various intensity and strokes on the “mirror” surface will trigger an assortment of musical and sonic elements, which are both traditionally influenced and electronically generated. A post-show talk will commence upon the completion of the performance segment. A facilitator approach is used to conduct and direct the talk, with the occasional appearance of prominent Singapore artists and practitioners as guest facilitators. The third annual showcase featuring the choreographic and dance talents of T.H.E Second Company, the youth wing of leading contemporary dance company T.H.E Dance Company, takes place this 27 – 29 June 2014. liTHE 2014 features a cast of 21 dancers aged 18 – 32, in a triple bill of edgy new creations by emerging choreographers, Lee Ren Xin, Marcus Foo and Goh Shou-Yi, exploring identity through gender, memory and the dancer’s anatomy. Lee Ren Xin presents the complexities and contradictions of being a young woman in a sleekly modern society, in She’s Chinese, and I’m Twenty-Five. Using the dancer’s body as a toolbox, Goh Shou-Yi explores the combustive possibilities of simultaneously deconstructing and reforming its various parts in 112319892416856. In Notes of Last Thursday, Marcus Foo revisits the logic of past events through 6 original poems written by the choreographer, in order to make sense of the present. 27 and 28 June, 8pm. 28 and 29 June, 3pm at the Goodman Arts Centre Black Box. Email marketing@the-dancecompany.com or call 6345 8454 for ticketing details. Kampung Bandung di Sore Hari by Gianti Giadi. Something Shift by Christina Chan. Spill Your Guts by Khairul Shahrin. Tension in Silence by Max Chen Guohui. Arriving at its fourth year, SPROUTS is the national competition for choreographic talent that focuses on the originality and creativity of choreographic concepts. This year, the organisers are taking the competition to the next level with an exciting twist: An All Stars edition in which finalists and winners of the past three years’ will pit their works against each other at a Final Showcase on 15 September. Jointly organised by the National Arts Council (NAC) and local contemporary dance company, Frontier Danceland, SPROUTS All Stars 2012 showcases five of the exciting talents discovered in the previous three editions of SPROUTS. The contenders include: Christina Chan, Most Promising Work 2011, CONTACT 2011 Partial Scholarship from T.H.E Dance Company, chosen to present a work in Dancers’ Lockers by Frontier Danceland. Gianti Giadi, Most Promising Work 2009. Khairul Shahrin, CONTACT 2011 Full Scholarship from T.H.E Dance Company, chosen to present a work in Dancers’ Lockers by Frontier Danceland. Max Chen Guohui, Best Dancer 2010, CONTACT 2010 Partial Scholarship from T.H.E Dance Company. Rizwan Kamis, Honourable Mention 2011. 15 September, 8pm at the School Of The Arts, Drama Theatre distinguished judges will determine the ultimate winner of SPROUTS All Stars 2012. Click here for tickets.